We've been working on heavy marine-based infrastructure for nearly 100 years! We will ensure your terminal stays open for business! J.F. 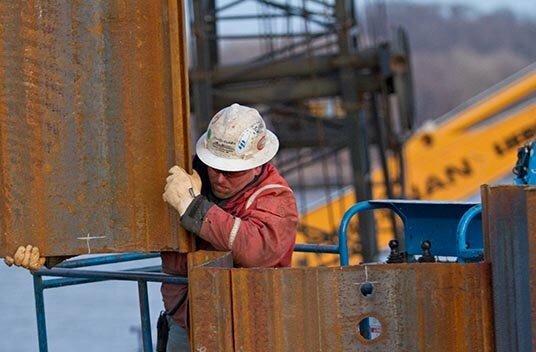 Brennan Company, Inc. has grown to become one of the largest marine construction contractors in the upper Midwest. Founded along the banks of the Mississippi River, we have been working in and along the inland waterways for nearly 100 years. Our abilities include above and below-water construction, repair, and inspection services on a wide variety of structures. With a large fleet of specialty marine equipment we can operate in bodies of water that range from small ponds to the Great Lakes. Brennan specializes in dock structures ranging from dry and liquid bulk terminals, to heavy lift docks and cellular structures. Our expertise also includes the mooring and fleeting structures needed to maintain an efficient operation. 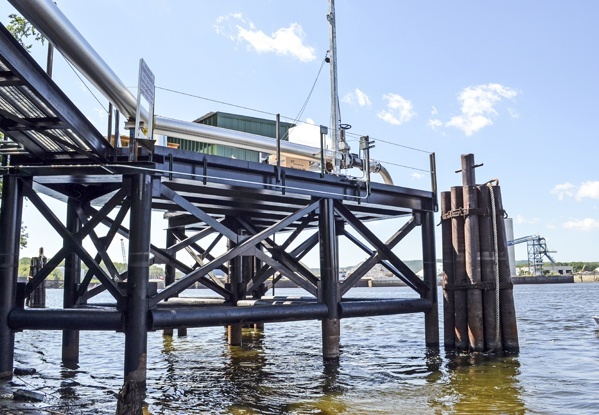 Whether you are building a new dock, or extending the life of an existing facility, we can provide a wide variety of services that will optimize the efficiency of your facility. 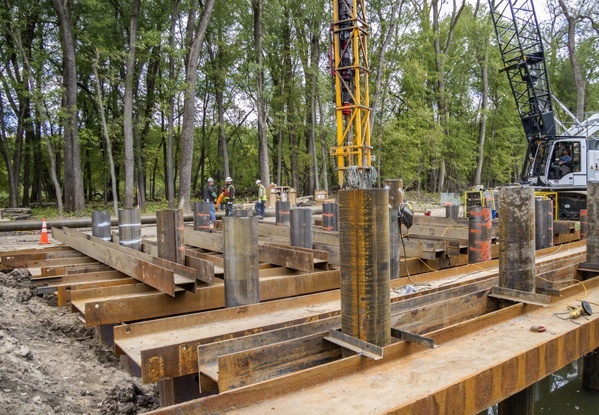 Since Brennan began in the early 1900s we have been building deep foundation structures to support electrical towers, buildings, bridges, and more. This includes cellular structures, Open Cell® structures, reinforced seawalls, and cofferdams. Whether this be from the water, or on land, we can create a customized approach for every project. Dredging promotes efficiency as much as a well-functioning terminal does. Brennan can provide both mechanical and hydraulic dredging options that will maintain the needed depths for efficient navigation. 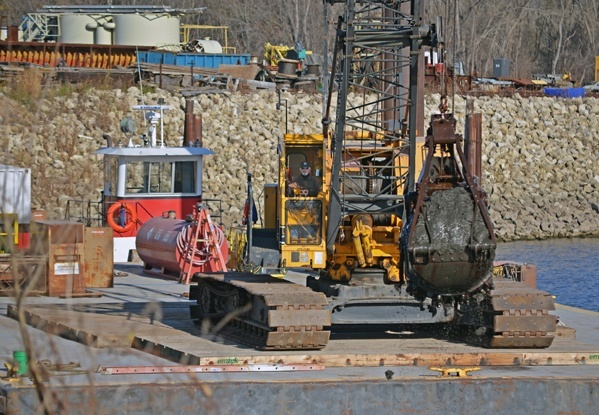 From mass removal to surgical dredging, we have the ability to right-size our operation for your project needs. This includes projects that may involve rapid dewatering and disposal in offsite locations. We can provide several choices to help you understand the conditions of your structure below the waterline. 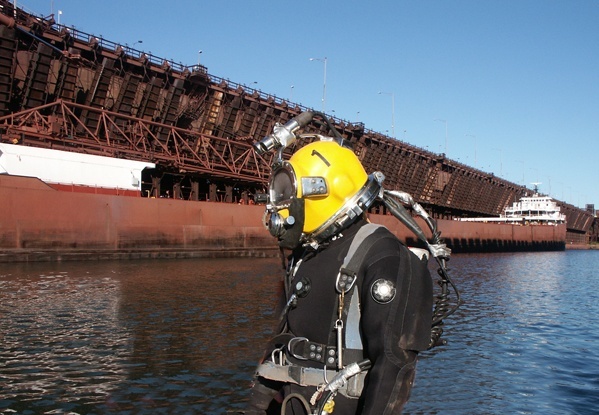 These options include high quality dive inspections with experienced certified commercial divers, underwater acoustic imaging, and high-resolution multi-beam hydrographic surveys. Each one uses the latest technologies to collect data and create the detailed information that you need to monitor your structures. Brennan divers can place concrete, weld, cut, grout, dredge, and accomplish whatever else may be required to keep your structure in good condition. 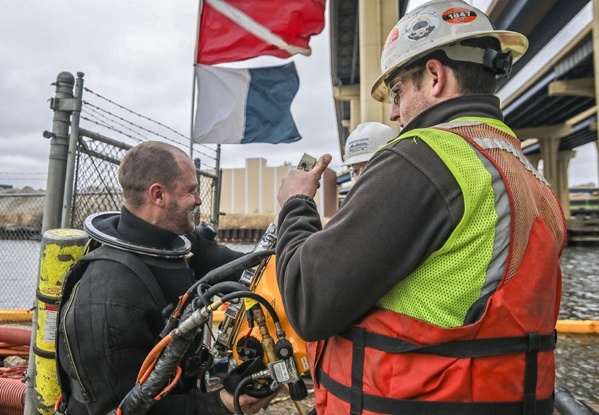 Using divers will eliminate the added cost of an expensive cofferdam structure, and can often truncate the project schedule. Our divers specialize in zero-visibility conditions and use state-of-the-art equipment to carry out quality repairs safely. 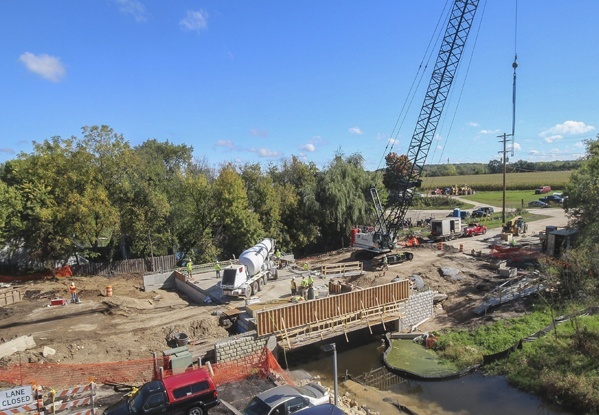 Brennan's extensive bridge construction experience will insure your new structure is built to the highest quality, on time, and within budget. Whether it is a new structure, or the repair of an existing one, our ability to provide both above-water and below-water construction services can lead to additional cost-saving options. 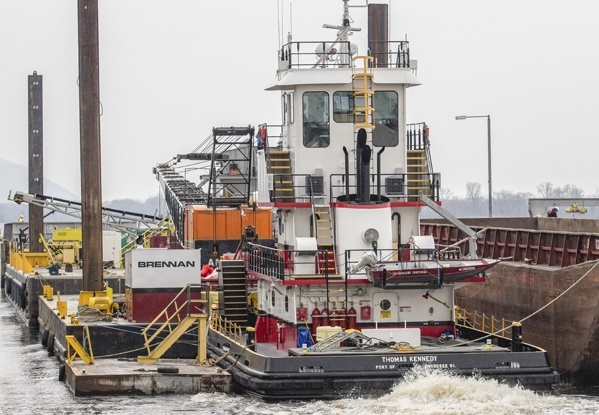 Brennan’s large fleet of marine equipment is suited for all types of marine construction projects. From our barge mounted heavy pick cranes to our fleet of high-quality portable barges, work flats, john boats, amphibious dump trucks, and portable tow boats, we are equipped to address all of your marine support needs. Our vessels are USCG inspected and are operated by licensed pilots. J.F. Brennan Company specializes in marine construction projects throughout the inland waters of the United States. 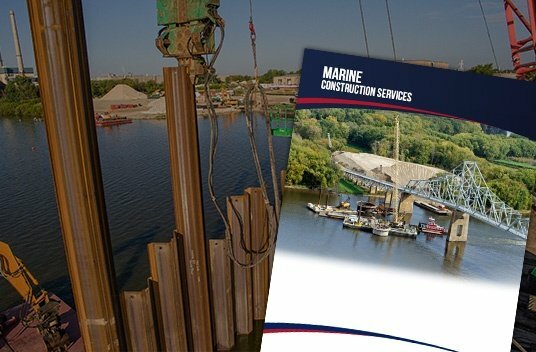 Download our brochure here to learn more about our bridge construction services! At Brennan, we are always looking for driven, hardworking individuals who have a passion for working around the water.